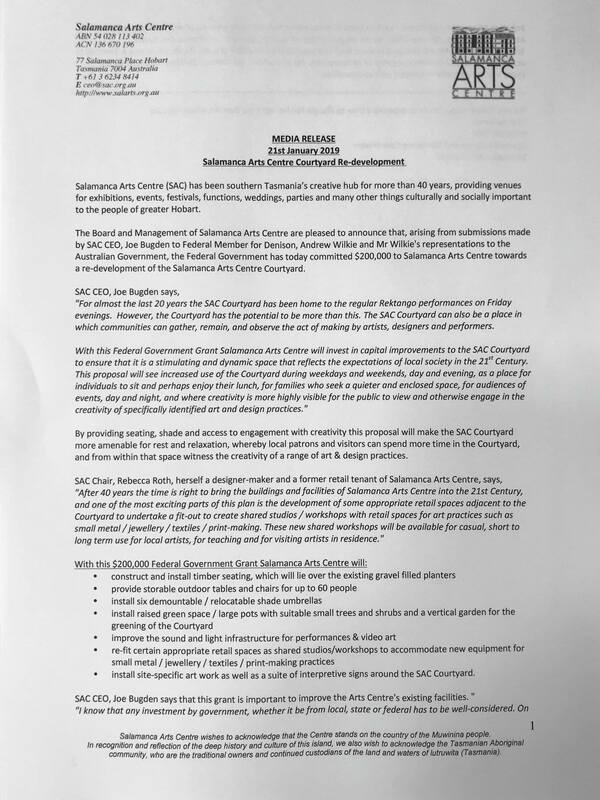 $200,000 Facelift For Salamanca Arts Centre Courtyard. 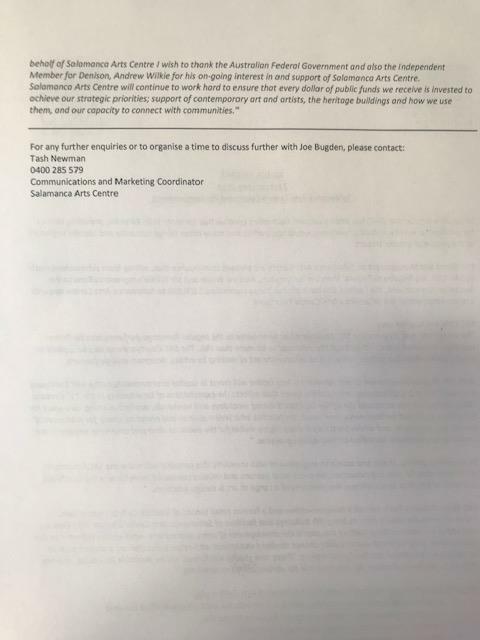 Please find below the media release issued by Joe Bugden CEO Salamanca Arts Centre, Monday 21 January 2019. 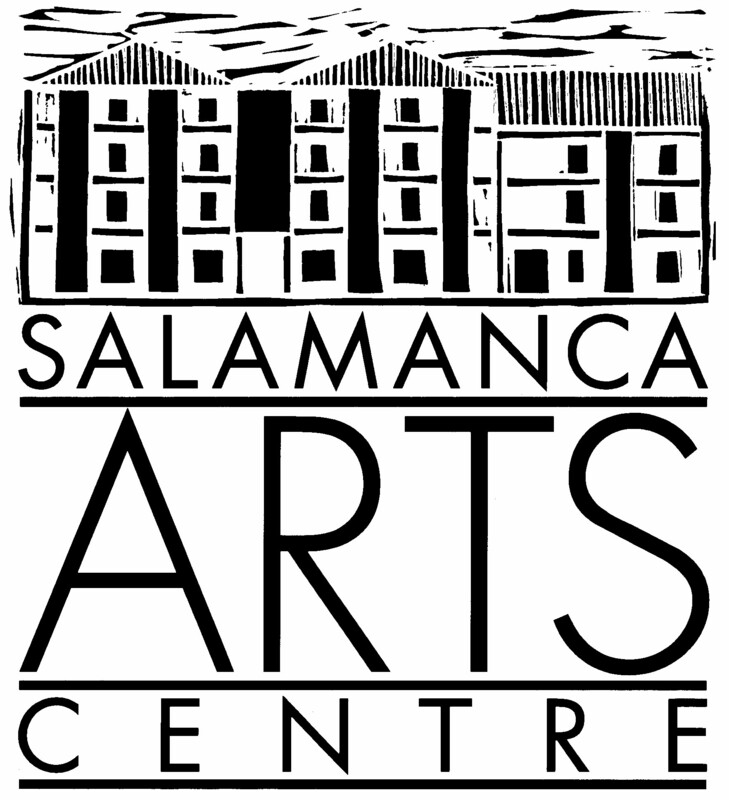 Fun and Engaging Creative Workshops for Kids.